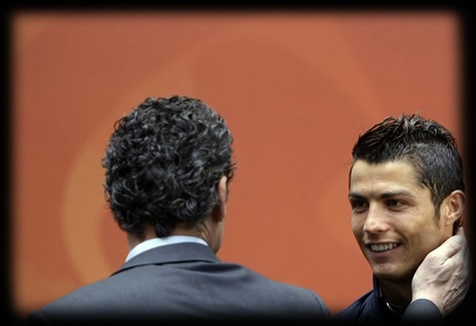 03.02.2011 » Valdano: "Cristiano Ronaldo doesn't need to score on every match". After the win against Sevilla, Jorge Valdano said Real Madrid needs to challenge Barcelona in the final. The general director also said that Cristiano Ronaldo doesn't need to score on every match. Jorge Valdano, current Real Madrid general director, said that "Los Blancos" have the obligation to challenge Barcelona in the final of Copa del Rey, which will be played in the 20th of April. "We finally won the right to be present in a final, after many years without succeeding on that. There was a lot of tension during the first half, but afterwards, things got solved easily. We suffered more than what we deserved in the beginning, but in the second half we showed we were a superior side." Valdano talked to the journalist, just after Real Madrid have won against Sevilla last night (2-0), so he kept on making comments about the upcoming match against Barcelona: "They will be on the final and we'll meet them with a challenging spirit. It's our obligation. We'll keep doing that, because it's part of our history and we'll never put our arms down. We're still 2 months away from that match, and a lot can happen untill then. We are Real Madrid and we don't fear anyone. What we have is enthusiasm to play." Cristiano Ronaldo recent lack of goals was also an issue which Valdano commented: "We're used that Cristiano Ronaldo scores 1 or 2 goals every match. It's normal for players to have good and not so good moments during a season. But in Ronaldo's case, just the fact he's present on the field, makes the team incredibly motivated." Valdano felt this was an important topic, so he added: "Every single Real Madrid supporter like watching Cristiano Ronaldo on the field. He doesn't need to score everytime. He has already scored more than anyone else!" Just before finishing the interview, Valdano said he has no problems with José Mourinho, despite many incidents occured in the past weeks. "José Mourinho has a lot of experience and besides that, no one doubts how good professional he is".